It’s been four years since I started HRT to help me with some of the changes that came with menopause. I know it’s not an option that everyone can take, but I am very fortunate and pleased that I was able to consider and pursue it. As I said in this post about HRT from four years ago, menopause isn’t a health issue but it sure can compromise our sense of well-being when we’re no longer sleeping, breaking out in hot flashes, and lose sexual interest. If you’re interested in possible solutions, and if HRT is among them, read on. Originally I was going to write a post about whether to try or not to try Hormone Replacement Therapy (HRT) for relief of some of my menopausal symptoms. 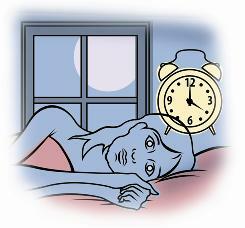 Most notably, the symptom that was doing me in was disturbed sleep due to hot flashes and night sweats. I used to be a great sleeper, but for the past few years my sleep has gotten worse and worse with no end in sight.